Did you know that diabetes affects 29.1 million people in the United States: 9.3% of the population? Every year, 1.7 million new cases are diagnosed, and many more people are unaware of their condition. Diabetes affects the body’s ability to process sugar, which in turn affects many of the body’s major systems. How are diabetes and oral health linked? The two are more interconnected than you may be aware. One of these conditions is especially prevalent among people with diabetes, and that’s periodontal disease. Periodontal disease affects almost 22% of those diagnosed with diabetes; many more have the less severe symptoms of gingivitis. Emerging evidence shows the two-way relationship between periodontitis and diabetes. Diabetes increases the risk for periodontitis for the reasons stated above, while gum inflammation also negatively impacts on glycemic control (thus affecting diabetes outcomes.) Patients with severe periodontitis are three times more likely to suffer end-stage renal disease and are at much greater risk for heart disease. That’s why oral and periodontal health is promoted as an important strategy for managing diabetes. Your dentist should be an integral part of your comprehensive care if you have this disease, if only because good oral health improves other health outcomes. The quality of your oral health provider is immensely important when it comes to managing a disease as serious as diabetes. The dental professionals at Penn Dental Family Practice are knowledgeable about the intertwined relationship of diabetes and associated oral conditions. 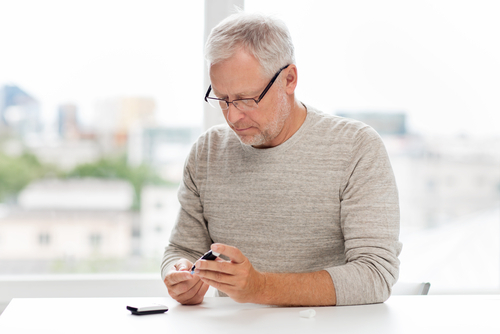 We work with our patients to treat diabetes through strategic preventative care. At our practice, you’ll benefit from having access to a wide spectrum of care, which includes our experienced periodontists. To learn more about how PDFP can help you or a family member with diabetes, please call us at 215-898-7337.